The interior fabric is from Mali, and the handles are riveted-on leather tabs. The pattern I found was so great, I also used it to make some Christmas gifts. These went to my sister-in-law and husband, to coordinate with her MacKenzie-Childs collection. Handles were made from the same fabric as the binding, with wire inserts. And just like that............. from Crazy Quilter on a Bike! I'm leaving tomorrow for a week. And it's always the same before I leave. How much can I get done before I go? Things that should have been done before, now become a priority when they could probably wait until I get back. BTW - I love my new keyboard. Just saying!!! One of the most popular ways to make Flying Geese is the "Make Four No Waste Flying Geese" method, not only because it uses less fabric, but also because you save time making four units at once! Today we will not only talk about this technique, but we will also experiment with stripes and figure out how they behave depending on how and where you place them. The amazing fabrics in this tutorial are from the exotic and artistic Mediterraneo collection. Not all quilts are made with squares and triangles. These lovely quilts were all made with stripes and strips. You can surprise yourself with how creative you can be with a jelly roll as your palette. Christine made this beautiful sage green and ivory quilt for her nephew. Using the Toss Up Pantograph, she learned to use our long arm machines on this Woodland Winter Quilt. Today I'm sharing a recent card make for a friend's little girl, who turned six in March. I love the colour-saturated Simple Stories birthday kits so I whipped up a quick little colourful card to put in with her gift. 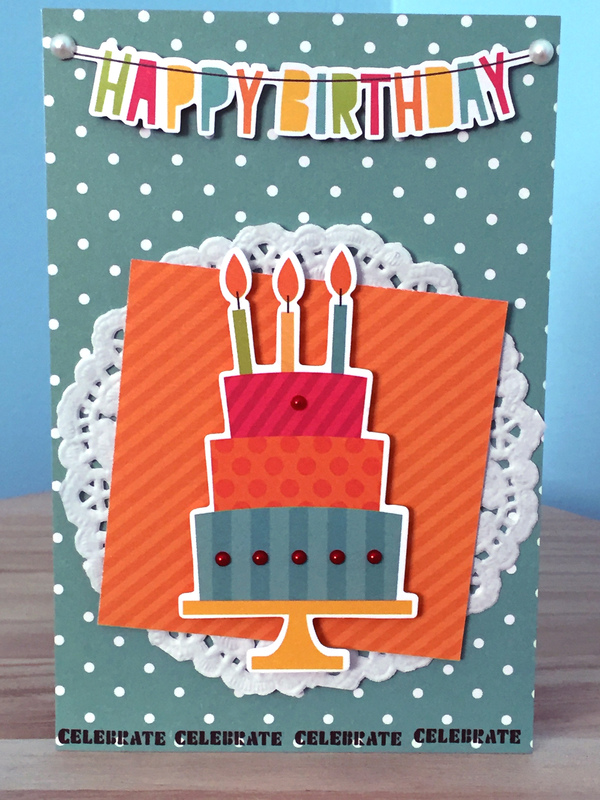 Some fun polka dots and stripes, a little doily to soften some of the bold colours and hard edges and some die-cuts in the form of the cake and banner. I popped some left-over red pearls from my Christmas cards onto the cake for a little embellishment and then stamped 'celebrate' across the bottom.